Brett Weaver (b. 1973) currently works resides in Chattanooga, Tennessee with his wife Tianna and their twin children, Abbott and Emeline. 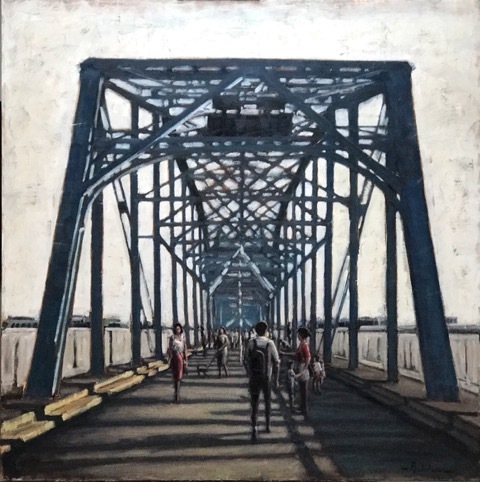 Although Weaver considers himself self-taught, the quality of his work at an early age gained him acceptance into advanced studio painting classes at Tennessee Technological University while pursuing an engineering degree. 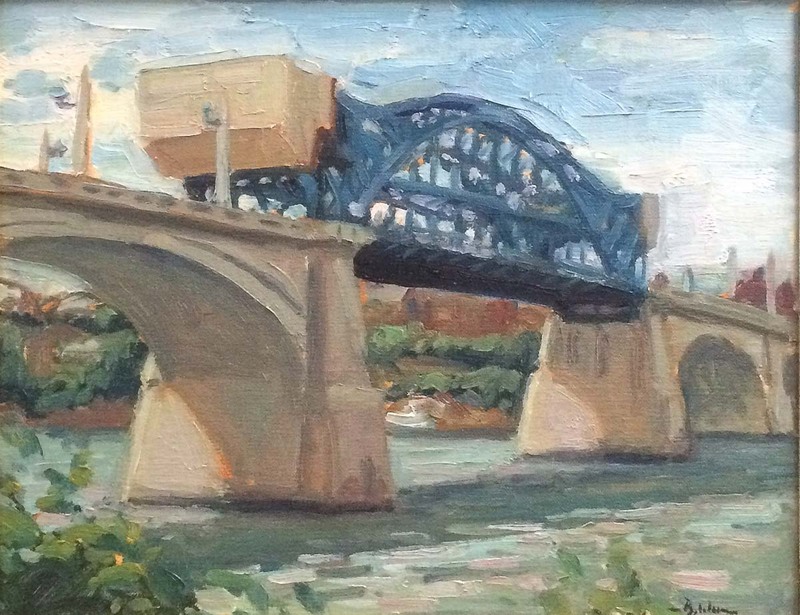 After completing his civil environmental engineering degree he began working on an art degree at night, but soon made the decision to advance his painting skills through study with individual artists, rather than spend four years on another degree that may not provide him the necessary skills needed to paint. Weaver left his engineering career in 2002 to begin painting full time at age twenty nine. Being self-taught has allowed Brett the freedom to explore and not be confined to one style or genre. The depth of his talent is apparent through the diversity in his work ranging from traditional landscapes to contemporary abstracts, as well as figurative and urban cityscapes. His primary goal is to produce works of art that speak to people beyond just the subject matter. His former career as a civil engineer has greatly influenced his focus on strong design and his cityscapes depicting the energy of urban life and culture. 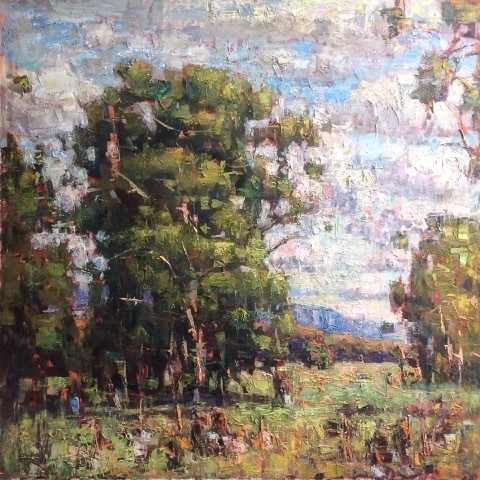 Since his introduction to the art world in 2004 as a landscape painter - winning 2nd place in the Carmel Arts Festival and being selected among Southwest Arts ‘21 under 31’ emerging artists - he has secured numerous awards and Museum Shows, and his work is included among an extensive list of private and corporate collections. Over the years Brett’s paintings have become looser and more abstract and expressive, showing a level of confidence and maturity in his work. His current work is gravitating toward tonalism, focusing on minimal design and atmospheric effects with a simplified color palette. He is now more concerned with finding individuality in his work, and using it as a vehicle for his own voice and self expression, spending the majority of his time developing subtle poetic compositions in his studio. 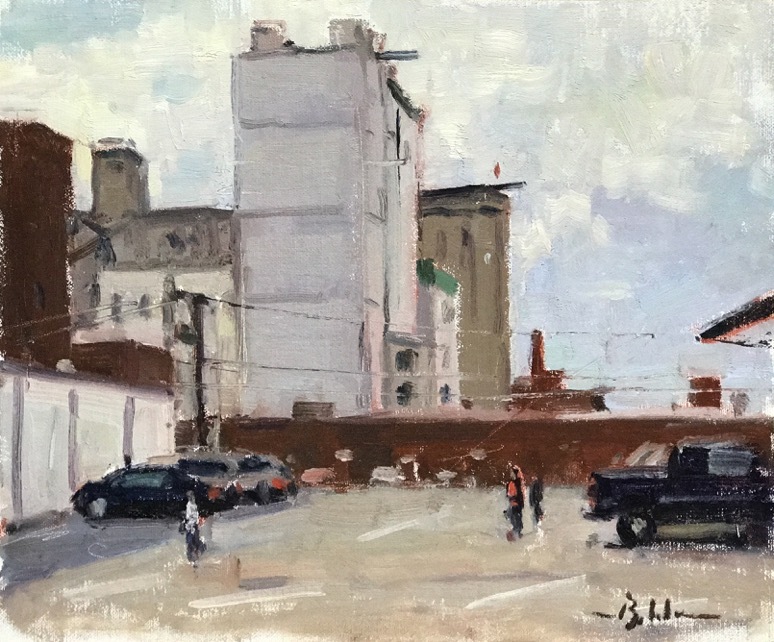 Brett’s work is inspired by elements of his everyday life and travels with his family within both urban and natural areas, whether it be attending a symphony performance or hiking in the mountains. His paintings offer his collectors timeless and expressive pieces they can live with, while also considering contemporary culture and design.